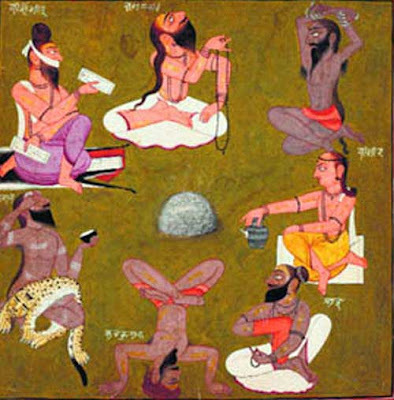 Rishi Panchami is observed on the fifth day of the Shukla Paksha (waxing phase of moon) in the Bhadra month (August – September). Rishi Panchami 2019 date is September 3, Tuesday. On the day, tributes are paid to the Saptarishis – the seven sages – Kashyapa, Atri, Bharadhwaja, Vishwamitra, Gauthama, Jamadagni and Vashishta. Rishi Panchami is of great importance to the Hindu community in Nepal and in the hill districts of North India. In Nepal, it is the third and final day of Teej festival. Rishi Panchami is also the final day fasting for those who observe three-day Hartalika Teej fasting. In Nepal, women observe a strict fast on the Rishi Panchami day. The fasting is dedicated to Lord Shiva and is also undertaken by men in some regions. The fast is broken after the Rishi Panchami Pooja. Women have a special bath on the day using Datiwan herb. Special Kalash is prepared on the day and prayed to. Women in large numbers visit Lord Shiva temples. Sama Pancham is also observed on the day in Gujarat. Rishi Panchami is also observed as Vishwakarma Puja in Kerala.